High quality vinyl die cut sticker in two great colors! 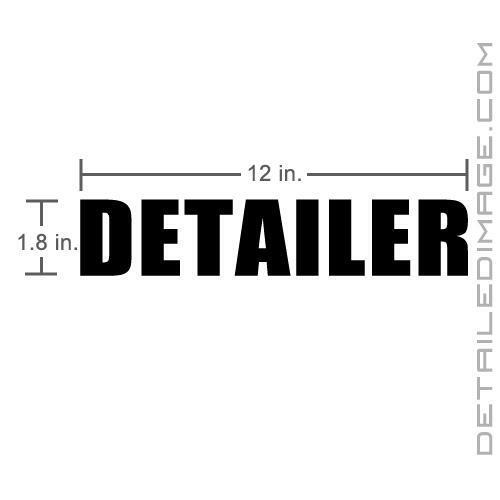 Show everyone that you are a detailer with this high quality Vinyl Die Cut Sticker! 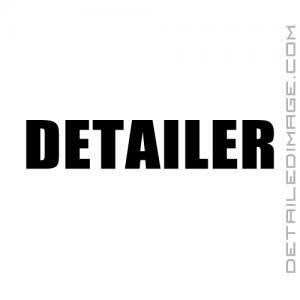 We here at Detailed Image, are always excited to promote the detailing industry as not only a profession, but as a great hobby as well. We started to share our detailing passion with the Under Armour Detailer Shirt and it did so well that we released the Under Armour Detailer Hoodie. Now, we have the Detailer Vinyl Cut Sticker! This sticker measures 1.8" x 12" and comes in two great colors, silver and black. Durable gloss vinyl lettering sticks to any flat surface and is UV and water resistant to prevent fading or weathering. These stickers look awesome on the windows of a freshly detailed vehicle, but can also be applied to tool boxes, coolers, cabinets, etc. 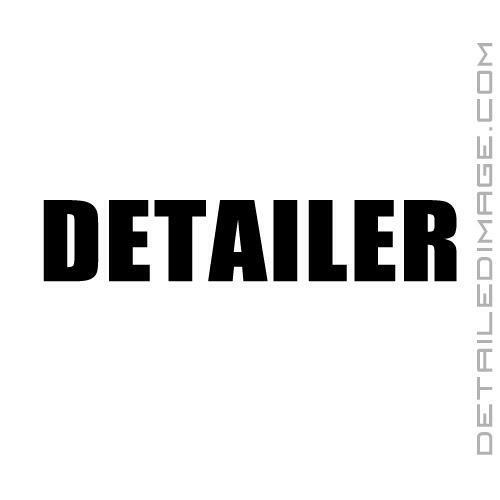 No matter if you run your own business, work in the industry, or are a rugged weekend warrior, represent yourself as a detailer with the DI Accessories Detailer Vinyl Die Cut Sticker! Also available in a standard peel and stick sticker with the Detailer Sticker! Tape the vinyl graphic in place and measure from multiple vantage points to ensure that it is positioned where you want it. Put on both sides of my car. Under rear window. Gonna put my 1st, last name under so customers know my name. I know cheesy but my customers dig it.